Ditch your preconceptions with Fraser Fifield. Prepare to ditch all preconceptions about Scots trad music. Low whistle, hornpipes, kaval (this is a traditional Balkan flute) and practice chanter (and this a part of the Scots bagpiping set-up) are just a few of the instruments employed by Fraser Fifield on Stereocanto. 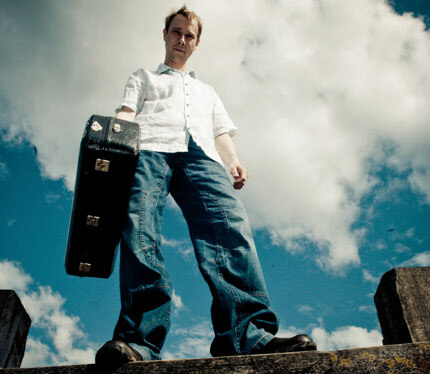 This is the Scottish virtuoso’s latest album and much of its charm is the music’s capacity both to be within a local tradition and to soar outwards, making new links. And Fifield does this with startling speed. On the album’s eponymous opening track, a zappy few minutes – with so much percussion that you wonder about a leaky salsa somewhere – it stops almost dead to pull out into new instrumentation: pipes, yes, but also electro beats, fiddle, sax and bass too. Listen closely in the quietest bits and you’ll pick up the drones. It’s all part of a canny approach in which taut rhythms and simple melodies generate their own improvisational material. Fifield, who in earlier years has played with Highland folk rockers Wolfstone as well as the Lowland Latino group Salsa Celtica, has a scholarly interest in how his music is made. Previous albums have taken him to many other traditions to find fits and inspirations. Stereocanto’s instrumentals are, in the main, of a jaunty feel. But on ‘Wrath and Love’ and ‘Lochan’ – both tunes where the influence of Scottish trad music is present – the instrumentals are really rather fine.